An Illinois woman filed a lawsuit against the makers Taxotere. She claims the controversial breast cancer drug caused her to develop permanent hair loss, a condition often referred to as permanent alopecia. The lawsuit was filed in the U.S. District Court for the Northern District of Illinois on June 28 by Renita Johnson. Johnson alleges that the drug maker knew or should have known that women may be left with permanent alopecia after using Taxotere, but provided misleading and false information that suggested hair typically regrows. Johnson points to a 2005 study which found that one out of every 10 patients treated with Taxotere suffered hair loss that lasted up to 10 years and five months, and in some cases longer. Johnson indicates that she underwent a lumpectomy to treat breast cancer, followed by chemotherapy involving Taxotere to decrease the risk that the cancer would return. 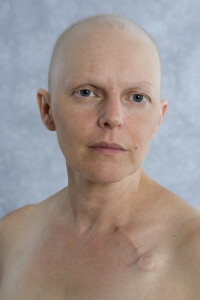 Although the chemotherapy with Taxotere was finished in February 2012, Johnson indicates that she continues to suffer alopecia hair loss years later. The case is one of a growing number of Taxotere permanent hair loss lawsuits filed against the drug maker in recent months. These lawsuits all allege that the makers of Taxotere failed to adequately warn about the risk of long-term hair loss and continued to promote use of their high potency taxane-based drug, even though there were alternative breast cancer medications that were not linked to an alopecia risk. Our law firm continues to investigate Taxotere lawsuits from across the country. If you or a loved one suffered from permanent hair loss after using Taxotere, contact our office immediately.